Life Is Not Fair ! – Grab a cuppa, tell a story or listen to one. Life Is Not Fair ! Life is not fair. Every child must have heard this from their parents and teachers many, many times. Sometimes, even I think so. I have a little brother who makes my life difficult. Sometimes he bullies me, sometimes he teases me, and sometimes he turns my world upside down. Since he’s the youngest in the family he gets away with everything, while I am expected to be responsible and sincere. Life is really not fair. But have you ever thought about all the other people in the world who have a worse fate than we do? This summer I went to India to visit my family. I saw many homeless children over there, wearing tattered clothes and rags. They were just little children three or four years old, crying, knocking on our car door for money. Some would even start wiping our doors just so they could earn enough to eat. It made me feel very sad. I thought that life had been very unfair to them. Whenever I saw the news, I always heard about countries at war with each other. So many people fighting end up dying. Every time someone dies a parent loses a child, or a child loses a parent. So many innocent people get killed by terrorists all over the world. If only the world was filled with peace and harmony, how fair would be for all the people on Earth. If you think about it, life is becoming unfair for plants and animals too. We are indiscriminately cutting down trees everywhere and at the same time cutting down animals homes. We are dumping garbage in the ocean and polluting them, while poisoning all the life beneath the water. We’re destroying animal habitats by clearing the forests make new cities. Plants and animals have a life too. We need to treat them fairly and equally. Sometimes I get upset and think my life is unfair, but then I realize that life is actually very good to me. I have a family who loves and cares about me, a roof over my head and a good school to go to, and best of all I have my friends! I guess fairness plays a role in life sometimes, and sometimes it doesn’t. I hope that one day everything will be peaceful, and people will proudly say, “Life is fair!”, to turn this world around like a spinning top and make life fair for everyone, humans, plants, and animals alike! It’s Wednesday, middle of the week and by now we are all complaining about the mundane exhausting ways of life. Life does not always seem fair, more so middle of the week. 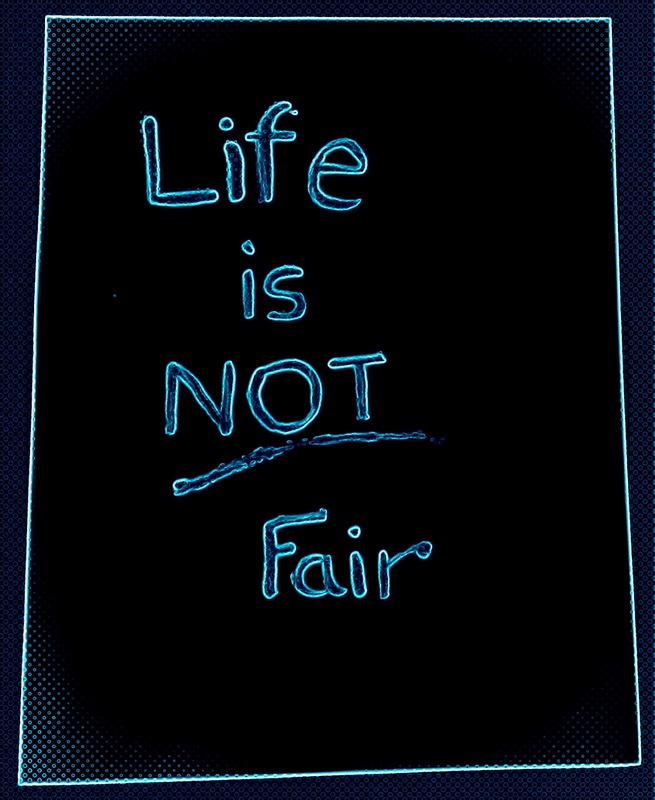 We therefore decided to share an eleven year old’s perspective on life’s share of fairness and unfairness with you today. It will make you sit up and take notice that some one at such a young age is looking at larger things in life, things that trivializes the smaller complaints in life. It also tells the parents, that showing all the faces of the world is a proven humbling life lesson for the kids.